A leading research and teaching Department housed in a custom-designed building with laboratories and spacious research school accommodation. The Department was founded in 1976 and has now grown to become the largest Department of Archaeology outside London. As members of one of the largest Archaeology Departments in the country, we are proud to offer: a wide ranging undergraduate programme providing you with choice and the opportunity to obtain a range of skills in humanities and science based studies; an invigorating research environment, providing high quality postgraduate research training and a challenging doctoral programme; active involvement in the public access to archaeological research; and a friendly and supportive working environment. We offer a range of undergraduate courses and one of the largest portfolios of postgraduate taught, research-track and vocational-track archaeology degrees of any UK university. Sheffield provides a wide ranging undergraduate programme in humanities and science based studies and is home to one of the largest communities of postgraduate research students on MPhil & PhD degrees. 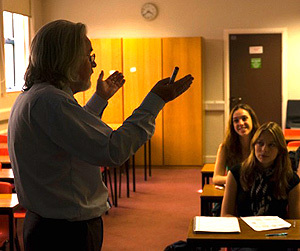 Undergraduates are also well ctarered for with an extensive range of single and joint honours porgrammes, with a new undergraduate curriculum for 2012. Amongst the staff is the illustrious Prof. Mike Parker Pearson, Current Archaeology’s Archaeologist of the Year 2010. Sheffield has excelent facilities inclduing the Sheffield Centre for Aegean Archaeology, Sheffield Centre for Archaeobotany and Ancient Land-Use, Sheffield Centre for Historical Archaeology and Sheffield Centre for International Drylands Research.